Fresh faced and breaking into the Cape Town scene, Llevado are on a mission to bring good music to people’s ears. They have been likened to the sounds of Matchbox 20, Lighthouse and John Mayer with their easy listening rock-based tunes being perfect for almost any venue. 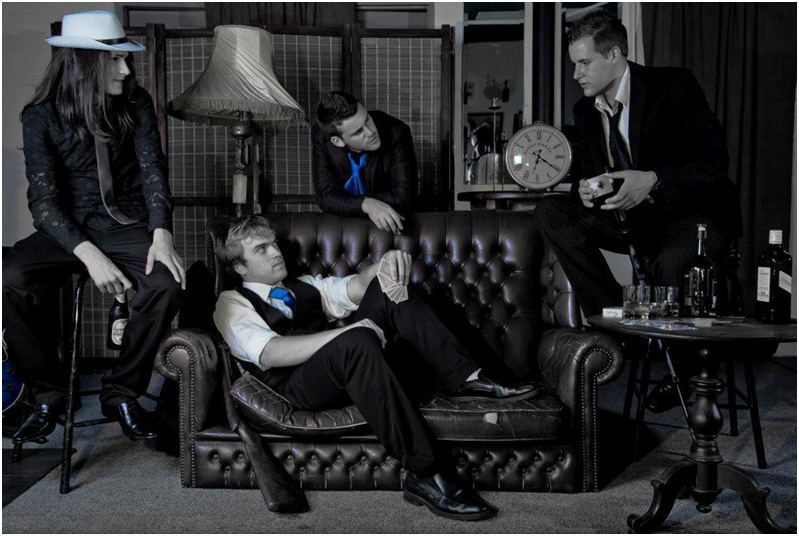 Front man, Justin Davies’ smooth on stage presence pulls together a band of talented musicians made up of Noel Kriegler on rhythm guitar, and Sheldon Bredenkamp on drums. With a new, modern twist on their genre, Llevado have come up with a radio-friendly combination that music fans across the board can enjoy. Their music has been featured on Good Hope FM, KFM, AAFM and Tuks FM, with television appearances on Hectic Nine-9 on SABC 2. The boys are also known to have played at festivals such as the Greyton Rock Festival, Vlakgat Biker Festival and Rock the River. The band has been hard at work putting together a tight act and it seems to be paying off.